Sergio Ramos in the Spotlight - Is Mo Salah Injury Intentional? The Champions League finals may be over, but both teams are still feeling the repercussions of the game. The Saturday game between Liverpool and Real Madrid spawned mass controversy on several fronts, but the biggest buzz formed around Sergio Ramos’ foul on Liverpool’s striker Mo Salah. The heinous tackle occurred in the 28th minute of the match. Ramos locked one of Salah’s arms, pulled him, sending the striker to the ground. Salah then injured his shoulder so badly he had to step off the pitch just two minutes later. Now, here’s the question, was Sergio’s foul on purpose? Did he intentionally injure Liverpool’s star, or was it just a terrible accident? According to Sergio Ramos, its the latter. Madrid’s captain claims he never intended to injure Salah. In his tweet, he said, ”Sometimes football shows you it’s good side and other times the bad. Above all, we are fellow pros.”, expressing his concern and proving that he was good-intentioned and sorry for his harsh start. However, according to many others, Sergio knew what he was doing. Liverpool’s manager, Jurgen Klopp, goes on to say that the foul was one of the biggest moments in the game. He did not blame Ramos directly, saying that it would be distasteful to speak about it and that it would make him look like a sore loser, but also adding that the challenge on his star player was “kind of harsh” and that it was “like wrestling a little bit”. Others chimed in as well. Ex-Middlesbrough player, analyst, and manager, Mido, spoke more harshly about the foul. 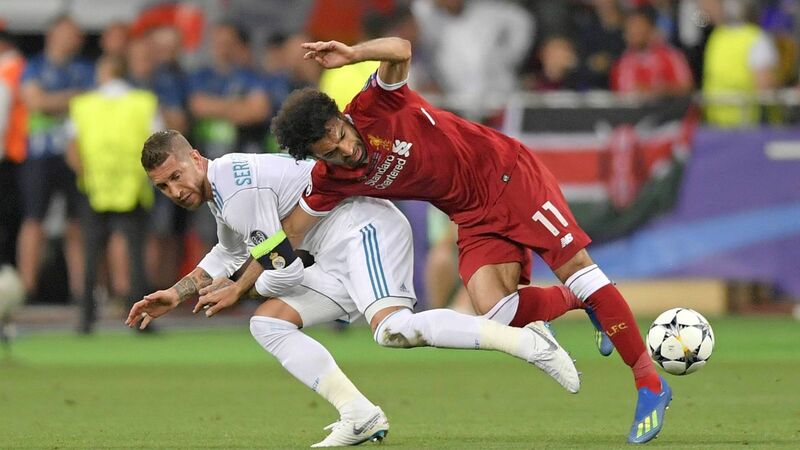 In his statement, he blamed Ramos outright, saying that anyone who knew a thing about football would have realised that the foul was intentional, and, had it been anyone other than Ramos, they would have let go of Salah’s arm. But, what about the fans? What about all those punters who placed their bets through Android betting apps, iOS apps, and with brick and mortar bookies? What do they have to say? Well, as with everything else, the fans are divided. Some speak ill of Madrid’s captain, calling him a dirty player and his tackle intentional. On the other hand, others are brushing the foul off. These fans are saying it was just a tackle and that Ramos committed no foul play involved, even if the start was harsh. But in the end, the match outcome remains – Liverpool lost (and not just because of Salah’s injury). Madrid completed their hat-trick, and Zinedine Zidane could not be happier. The primary concern now is if Salah will be able to play in the World Cup. According to the Egyptian FA, Mo Salah will make a full recovery and should be able to play injury-free.